Valencia [Spain], Oct.25 : The Indian junior men's hockey team kicked off their Four-Nations Invitational Tournament on a promising note as they defeated Germany 3-1 in their opening game here on Tuesday. In the opening encounter, India and Germany started off with a highly intense first-half that saw a lot of attacking intent from both sides. It was India that wrested the initiative with their first penalty corner of the game, Varun Kumar's conversion giving them the lead in the 17th minute. India kept up a high pressing game consistently, but were undone by a Kai Aichinger goal in the 22nd minute to concede the equaliser. Three minutes later, Varun converted another penalty corner to put India back into the lead as they went into half time. 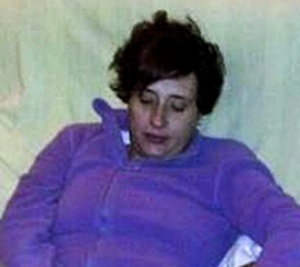 Madrid : Spain says a test has shown a nursing assistant who became infected with Ebola is now clear of all traces of the virus. A blood test has revealed that Teresa Romero's immune system has eliminated the virus from her body, according to a statement released by Prime Minister Mariano Rajoy's office late today. Manuel Cuenca, microbiology director at Madrid's Carlos III health care complex, says a second test in the coming hours is needed to absolutely confirm Romero's recovery. Romero, 44, had treated two patients who died of Ebola at Carlos III hospital. Madrid : An Air France plane was isolated at Madrid's airport on Thursday because of a suspected Ebola case after a passenger was reported to have a fever and shivers, officials said. The passenger, who had traveled from Lagos, Nigeria, was taken by ambulance to an unspecified hospital in Madrid but the rest of the passengers were allowed to leave the plane as normal, Air France said in a statement. 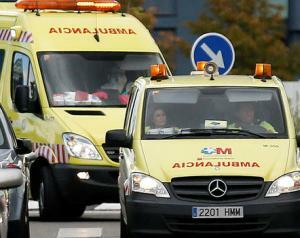 The flight, carrying 163 people, arrived in Madrid from Paris, the company said. The plane was taken to a special area of the airport. 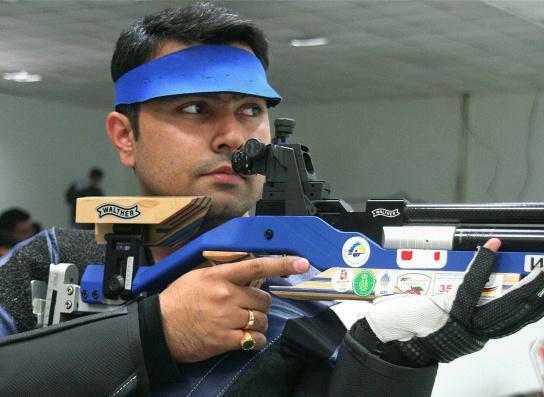 Granada, Spain: Gagan Narang missed out on an Olympic quota by just one place as he finished sixth in the finals of 50-metre rifle prone while Prakash Nanjappa and Jitu Rai narrowly missed out on finals of men's 10-metre air pistol in the 51st Shooting World Championships here on Thursday. After coming through the tough qualifying, Narang could total only 124.2 by the time the top 5, including the three medallists, were decided in the finals. Five Olympic quotas were on offer in the event. Another Indian, Hariom Singh, could not make it to the finals after finishing 45th in the qualifying. Madrid: Spain's lower house of Parliament today voted overwhelmingly in favour of urgent government legislation allowing King Juan Carlos to abdicate this month and hand over his duties to Crown Prince Felipe. The legislation was approved by 299 lawmakers, while 19 voted against and 23 abstained. The bill was backed by the majority-ruling Popular Party and the leading opposition Socialist Party, while some regional nationalist and left-wing parties rejected it or abstained. Several left-wing deputies held up signs demanding a referendum on whether to scrap the monarchy. Madrid, May 26 : Spain coach Vicente del Bosque kept his players guessing as he finalised a list of 19 players for his side's friendly game against Bolivia, May 30, as part of preparations for the FIFA World Cup. The list that was finalised by the coach Sunday does not include any of the eight Real Madrid and Atletico Madrid players who took part in Saturday night's Champions League finals, nor does it include strikers Alvaro Negredo and Fernando Llorente or winger Jesus Navas, reports Xinhua. Madrid, May 17 : FC Barcelona confirmed they have reached an agreement with Lionel Messi to extend the striker's contract. "FC Barcelona has reached an agreement to adjust the terms in the contract binding Lionel Messi to the club as a professional first team player. The revised and updated contract will be signed over the next few days," read a message on the Barcelona website Friday, reports Xinhua. Barcelona, May 16 - FC Barcelona's veteran captain Carles Puyol Thursday said goodbye to FC Barcelona after 15 years, a decision that had been previously announced March 4. Puyol held a press conference Thursday where he received words of praise and admiration from his colleagues, ex-colleagues, presidents and ex-presidents, coaches and other figures from the world of football, Xinhua reported. Puyol said he wanted to recover. "This year with the physical problems I have had I barely played and it is going to be something difficult to do in the future." Madrid ( Spain), May 12 - World Number One Rafael Nadal won his first European clay court title here at the Madrid Masters on Sunday, after a back injury forced Japan's Kei Nishikori to retire during the final. According to the BBC, Nadal led 2-6 6-4 3-0 when a hobbling Nishikori, who had led by a set and a break, had to pull out of the match. Nadal, 27, becomes the first man to win four Madrid titles and extends his Masters 1000 record to 27 victories. Madrdi, May 8 : Chinese tennis star Li Na was forced to dig deep in order to defeat No. 16 seed Sloane Stephens 2-6, 6-3, 6-2 in two hours and move into the quarterfinals of the WTA Madrid Open here Thursday. Despite her progress, Li Na was not satisfied with her performance in which she made over 40 unforced errors, reports Xinhua. The first set saw Li Na play her worst tennis since arriving at Madrid. Perhaps unhappy at her third consecutive early start, the World No. 2 was never able to find her rhythm on court and while struggling with her own serve, she also failed to deal with that of her rival. Madrid, May 8 - Serena Williams swept into the last 16 with a comfortable 6-2, 6-3 victory over China's Peng Shuai, while Rafael Nadal began defence of his crown with a crushing 6-1, 6-0 win over Argentina's Juan Monaco in Madrid Tennis Open Wednesday. Williams needed just over one hour and four minutes and never looked in trouble with another display of powerful tennis on a court where she has looked very much at home in recent years, Xinhua reported. Peng Shuai cannot be accused of giving up, but was just unable to compete with Williams' powerful hitting. Barcelona, April 26 - Rafael Nadal Friday lost in the ATP Barcelona Open, the first time since his debut here in 2003. The Spaniard lost in three sets to his compatriot Nicolas Almagro in the quarterfinals by 2-6, 7-6 (7-5), 6-4, ending his 41 game winning streak at the tournament, Xinhua reported. He had not even dropped a set in the tournament since the 2008 final, and seemed cruising to his conquest of the title for the ninth time as he missed the 2010 version. This was also the first victory for Almagro over Nadal in their 11-time meetings. Madrid, April 24 - Spain's economy will grow at an average of 1.5 percent in 2014-15, authorities said. "Everything indicates that the Spanish economy's recovery has continued in the first quarter of the year," Xinhua quoted Economy Minister Luis de Guindos as saying Wednesday. Spain will have a "sustained recovery" with net job creation for the first time since the economic crisis hit, De Guindos said, adding that job growth should be "relatively significant" over the two-year period. Madrid, April 23 : Real Madrid coach Carlo Ancelotti said he is expecting Cristiano Ronaldo to play in the first leg of the Champions League semifinal against reigning champions Bayern Munich in the Santiago Bernabeu Stadium Wednesday night. Ronaldo has struggled with a knee and hamstring problem since the first leg of the quarterfinal but Tuesday saw him complete his third full training session to give the coach hope of his return, reports Xinhua. Madrid, April 21 : Real Madrid striker Cristiano Ronaldo will be fit to play against Bayern Munich in the first leg of the Champions League semi-final if the message posted on one of his social networking sites is to be believed. Ronaldo has not played for Madrid since leaving the first leg of the quarter-final against Borussia Dortmund because of injury three weeks ago, reports Xinhua. A combination of tendonitis in his left knee and a hamstring tear sidelined him from the Copa del Rey final last week when they defeated Barcelona 2-1 at the Mestalla Stadium.